Gavrelle is a village about 10 kilometres east-north-east of Arras on the road to Douai. 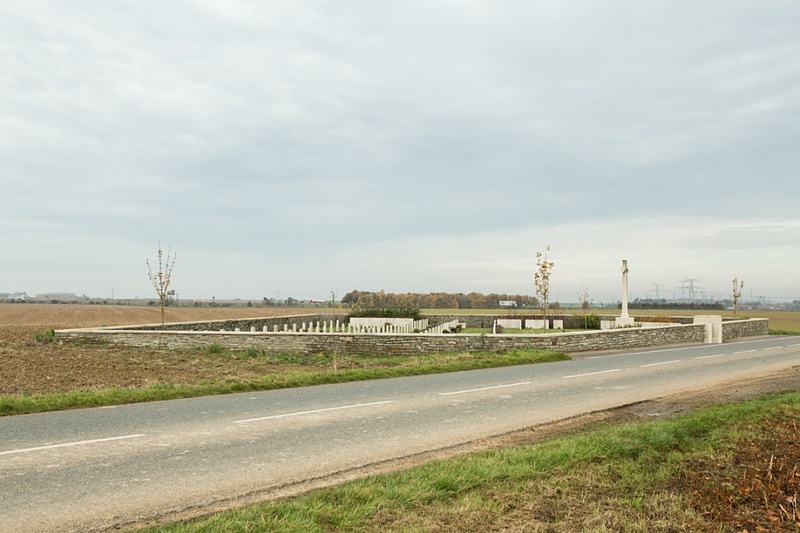 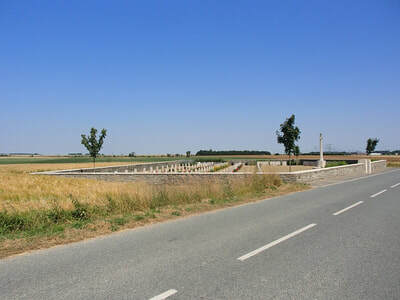 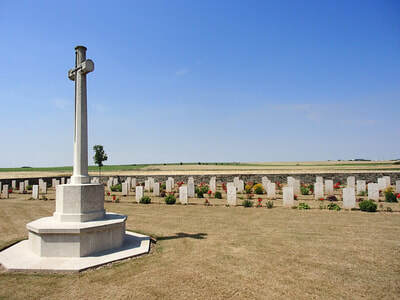 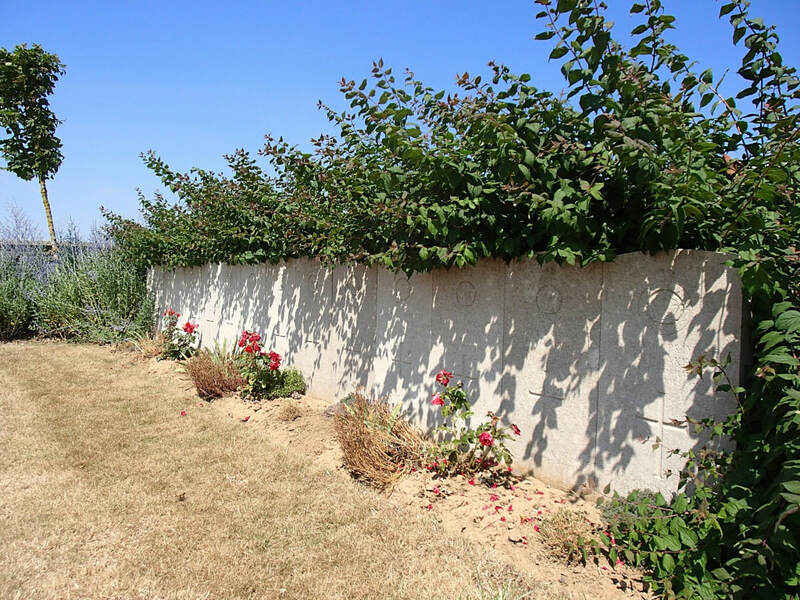 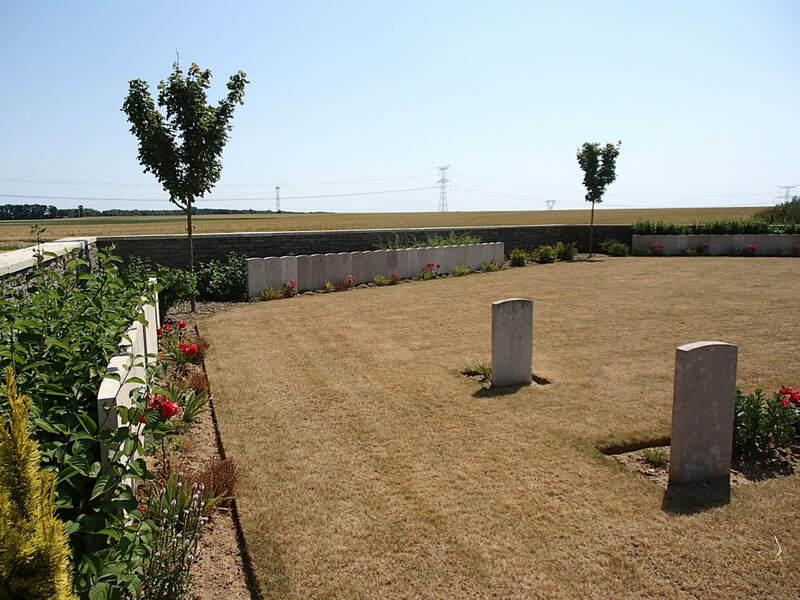 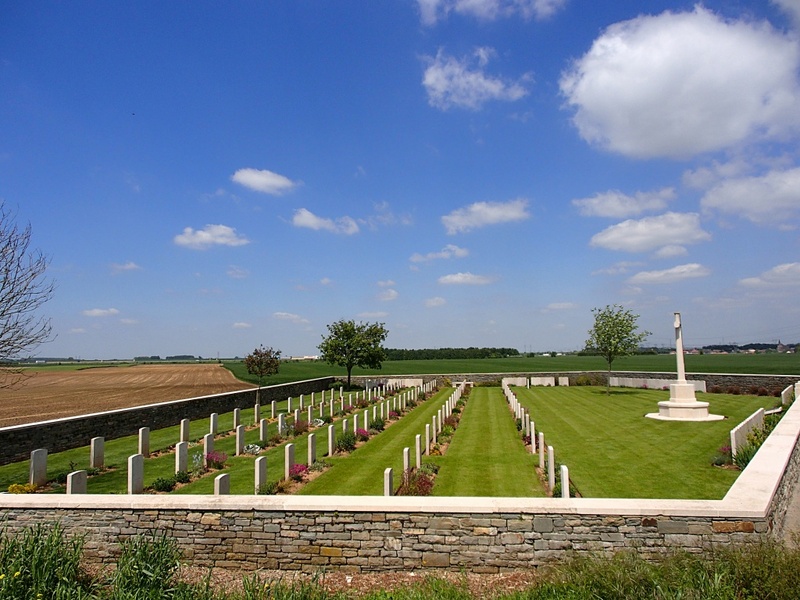 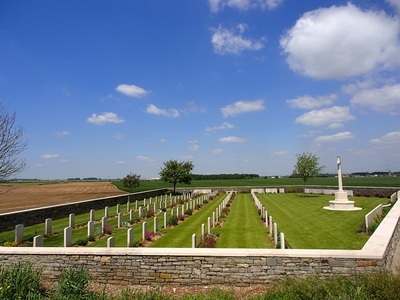 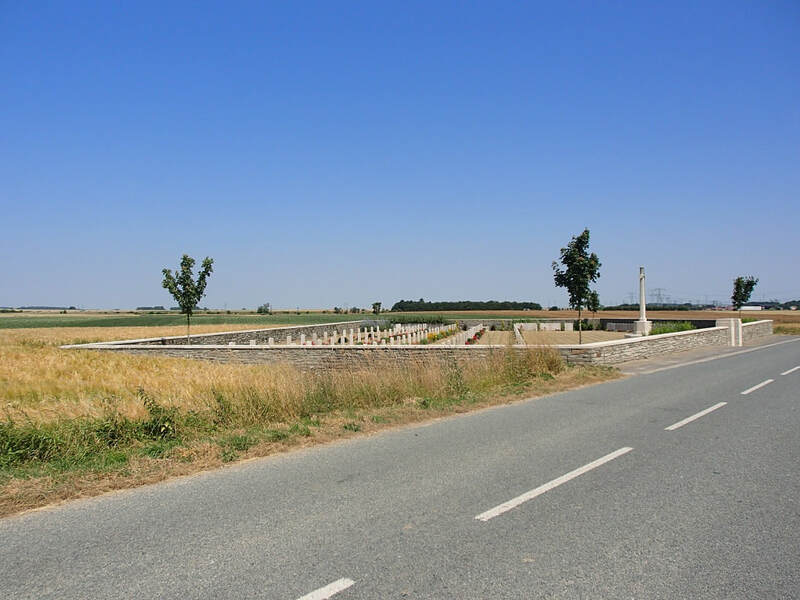 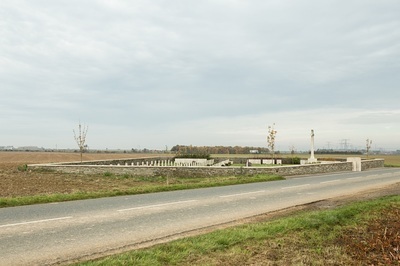 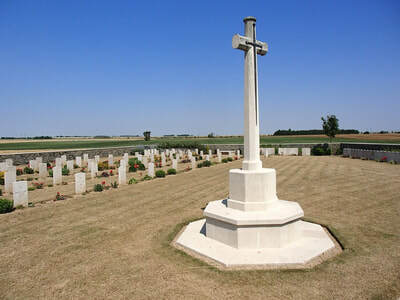 Chili Trench Cemetery is 1.5 kilometres south-east of the village on the north-east side of the secondary road to Fampoux. 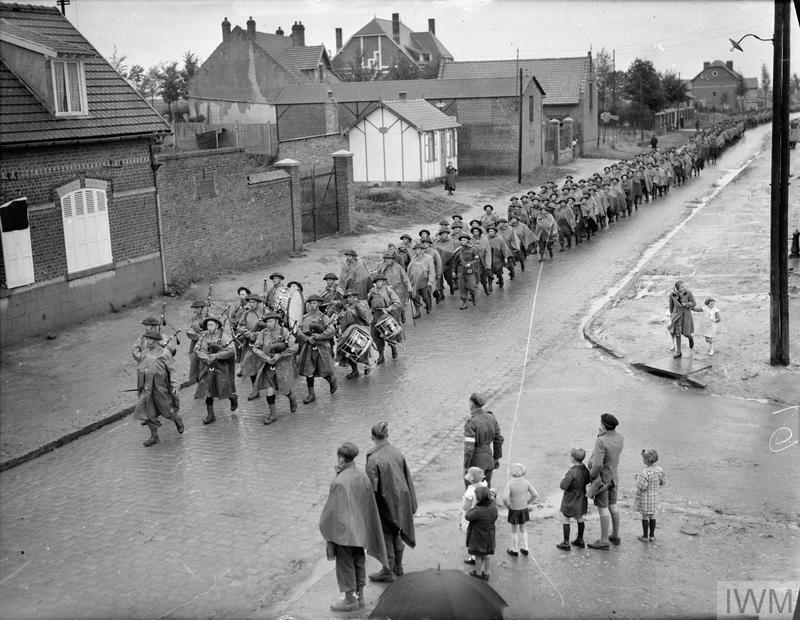 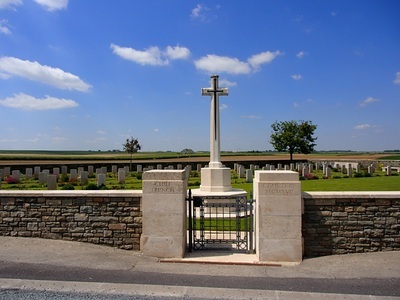 Gavrelle was captured by the Royal Naval Division on 23 April 1917, lost on 28 March 1918, and reoccupied by the 51st (Highland) Division on the following 27 August. 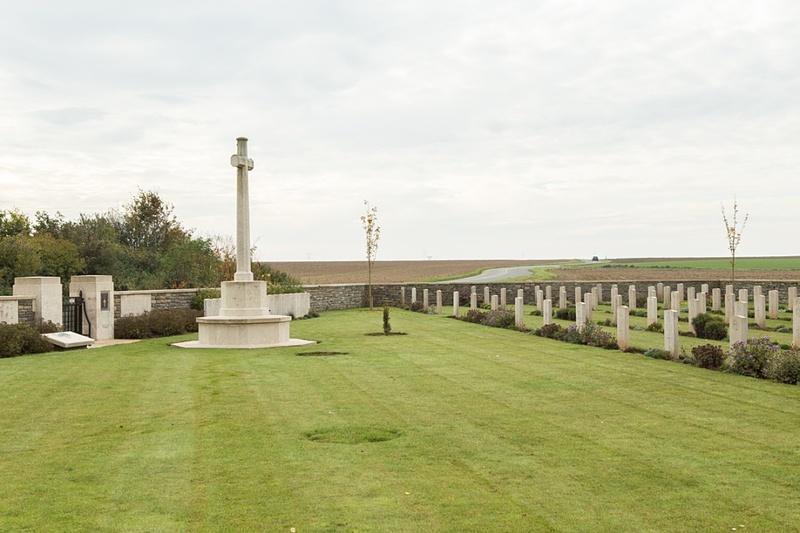 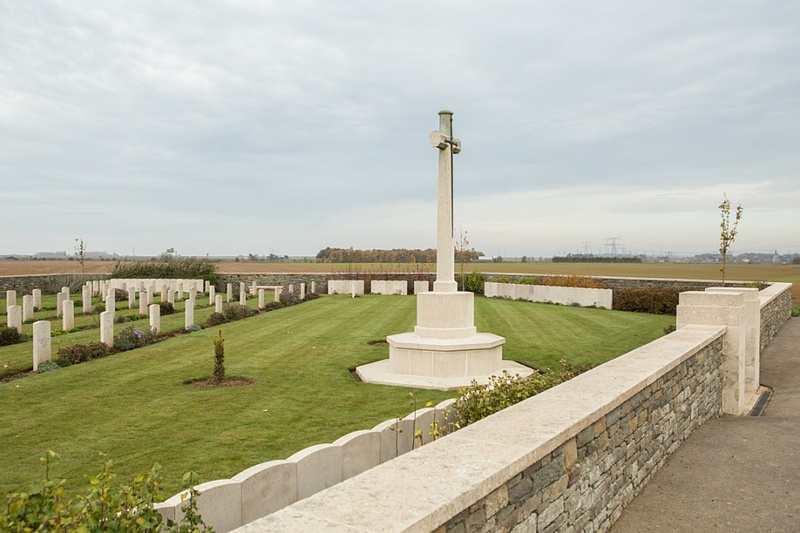 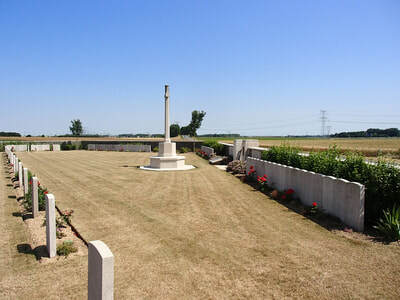 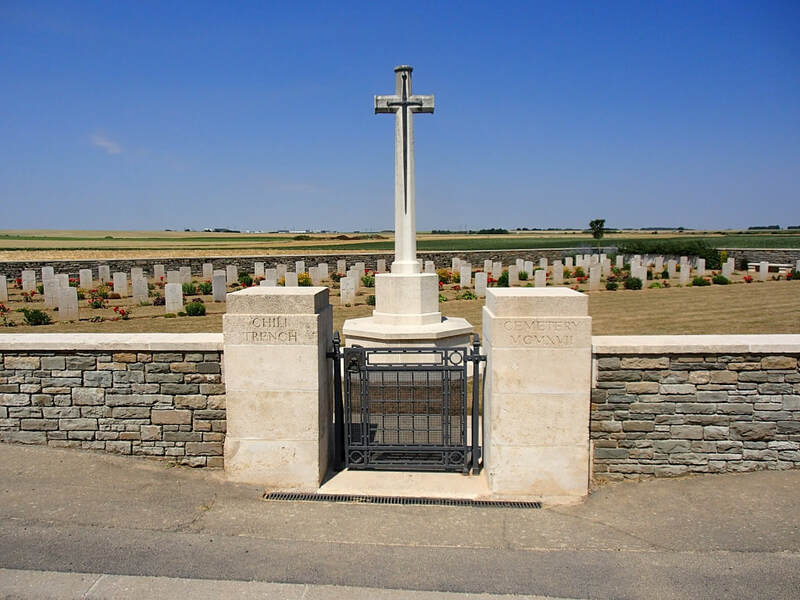 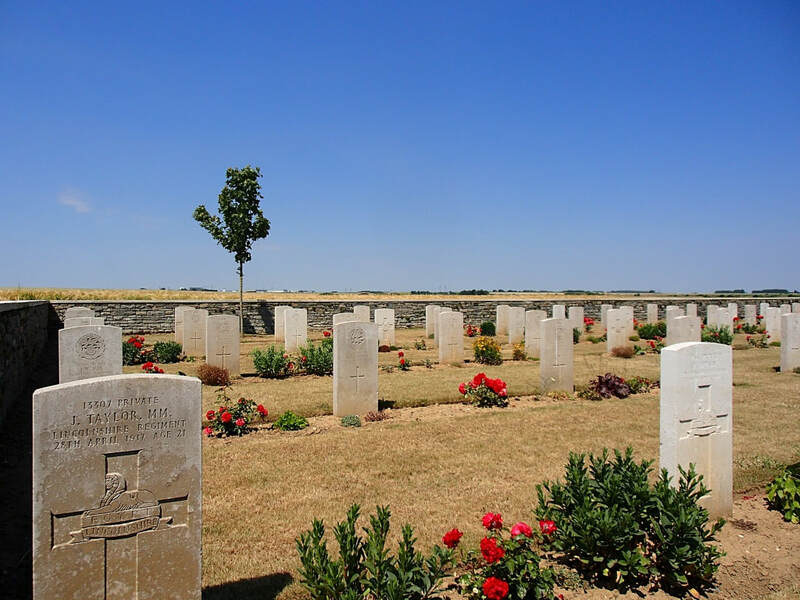 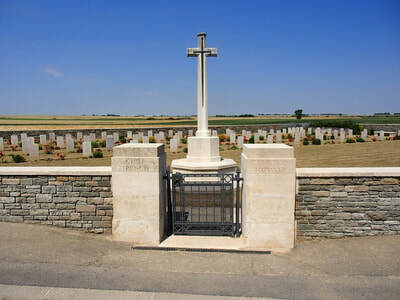 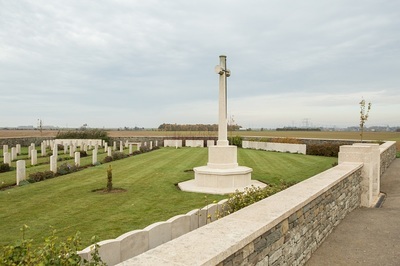 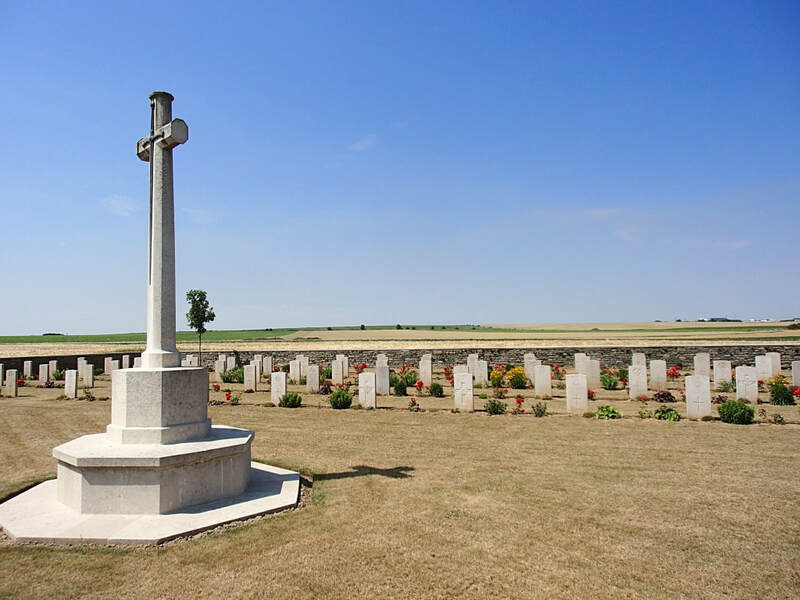 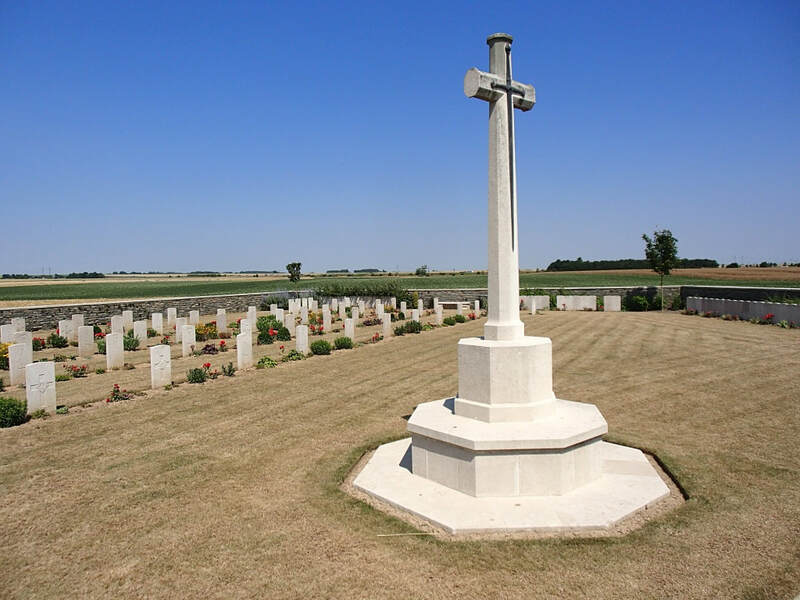 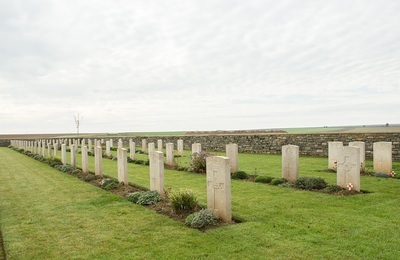 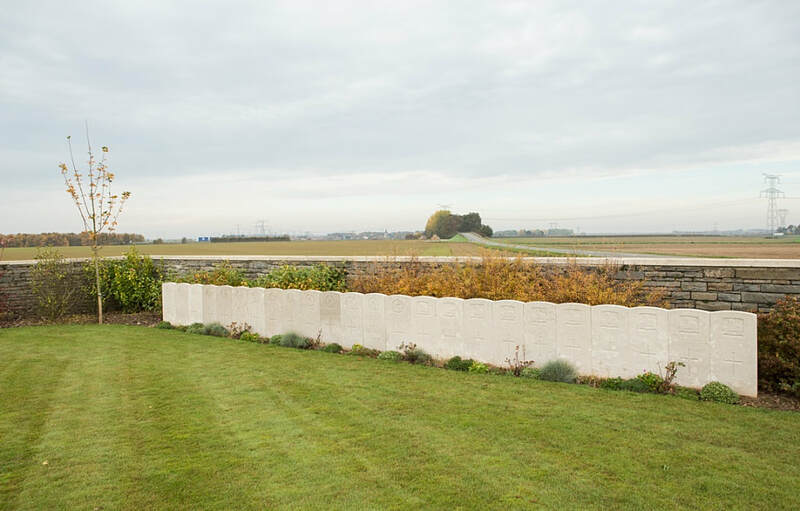 Chili Trench Cemetery was made in April and May 1917, mainly by units of the 37th Division; it was also known also as Gavrelle Road Cemetery, or Fampoux Cemetery. A further four Commonwealth graves from MONCHECOURT COMMUNAL CEMETERY were removed to Chili Trench Cemetery in 1934. 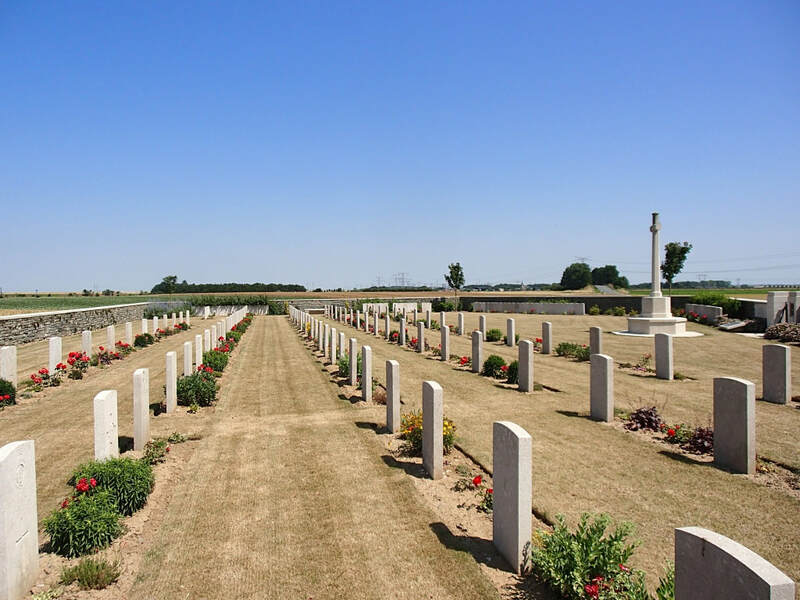 The cemetery contains 196 burials and commemorations of the First World War. 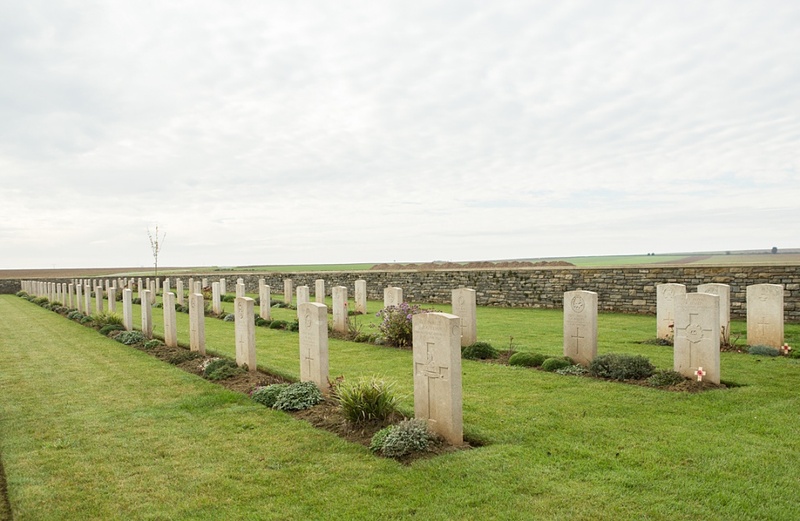 19 of the burials are unidentified and 86 graves destroyed by shell fire are now represented by special memorials. The cemetery also contains the grave of one airman of the Second World War. 23rd April 1917, aged 26. Son of James and Emily Brown of Barnsley; husband of Annie Brown, 20 Duke Street, Barnsley. 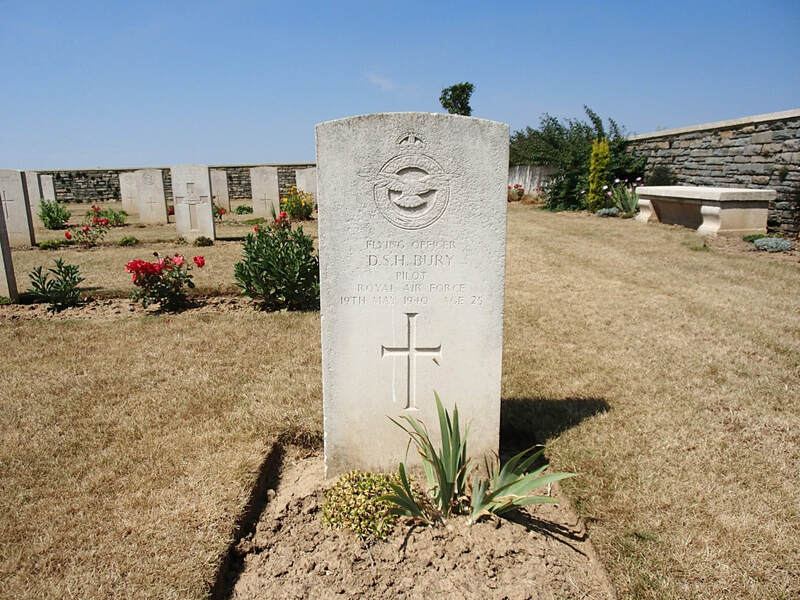 23rd April 1917, aged 32. 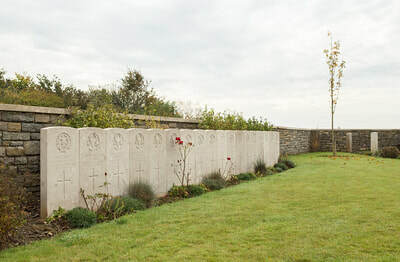 Son of Archibald and Mary Hunter, of 10, Northanger Rd., Streatham, London. 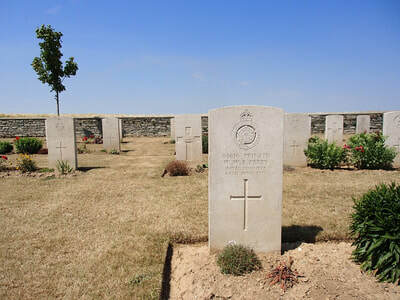 29th April 1917, aged 22. 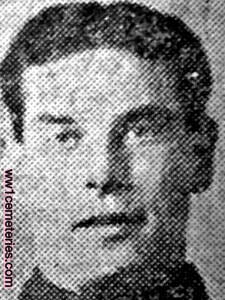 Son of Mrs. Amelia Kidman, of 16, Ashton Rd., Luton. 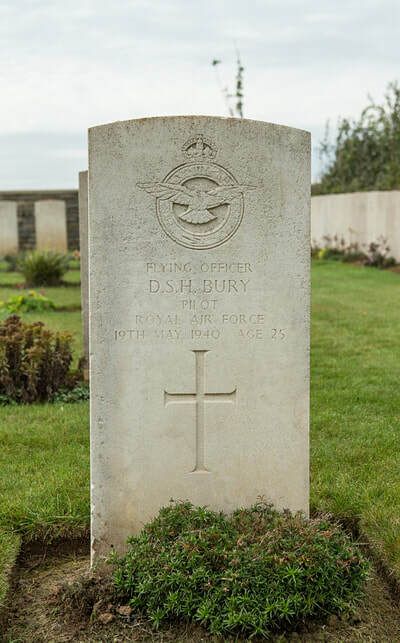 12th April 1917, aged 25. 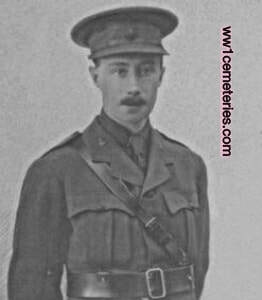 Sydney Woodhead enlisted December 1st, 1914 and trained at Nigg in Scotland before going out to France on June 1st, 1915. 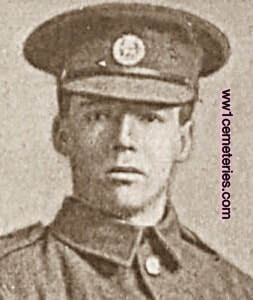 Prior to enlisting he was a tackler at Whitehead & Leavers, Burnley. 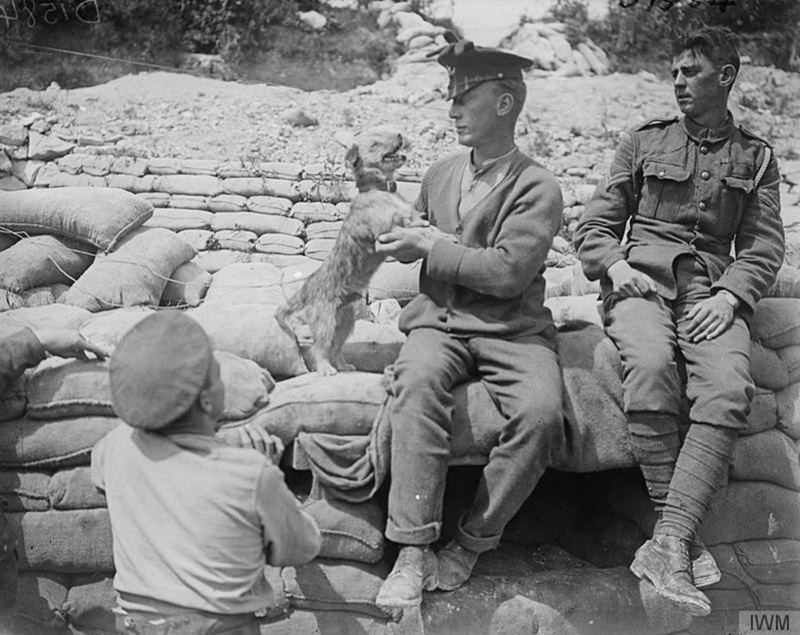 In his time abroad prior to his death, Sydney had appeared to lead something of a charmed life and had a number of adventures and narrow escapes. 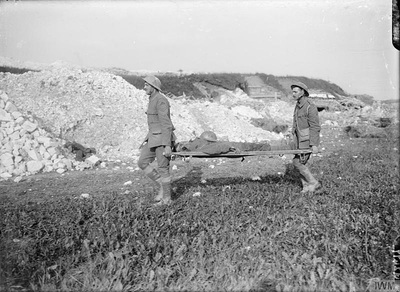 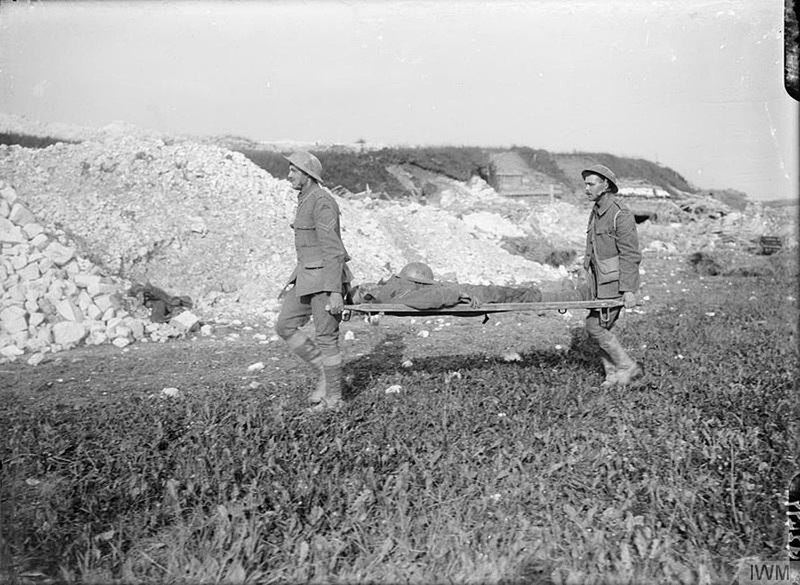 He was twice buried by shells at the battle of Delville Wood (Somme), and though wounded extracted his officer who had been buried three times, and got him to the communication trench where the Royal Army Medical Corps took him forward. 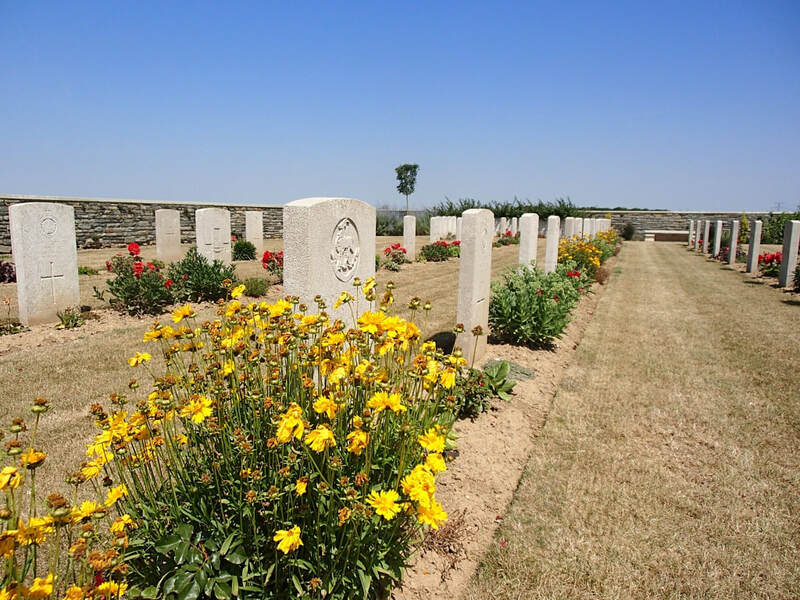 The officer, who had a fractured jaw, was unconscious and on regaining his senses asked the soldier if he were his servant, and on receiving an affirmative reply said "That's all right." 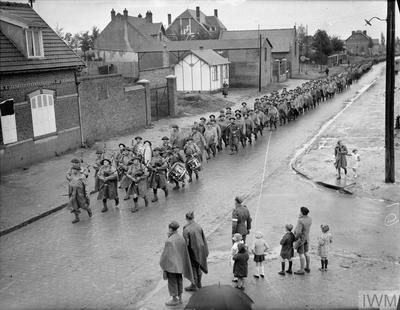 He saw service at Ypres and on leaving there had a seven day march in preparation for the big push in July and was 'fagged out.' On one occasion narrowly escaped being shot by a sniper. 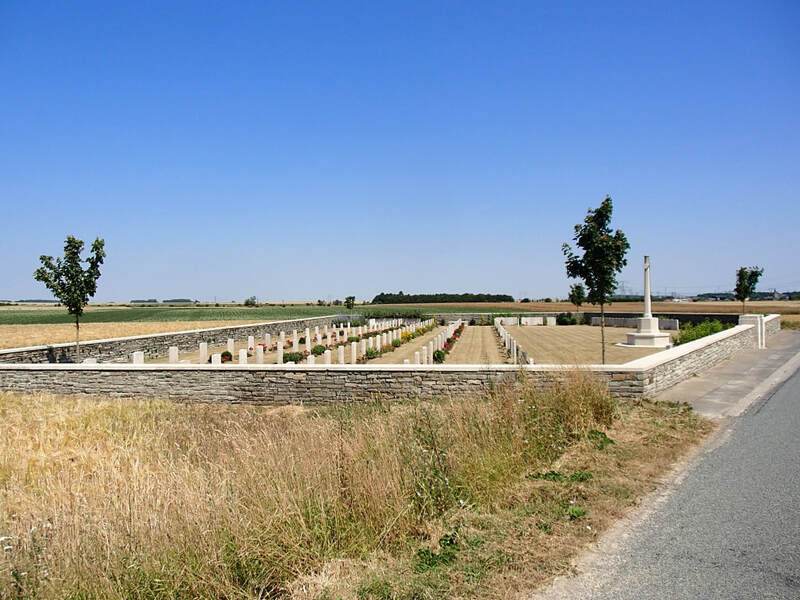 While passing through a stile, going for rations in company with another soldier, a bullet passed just between them, and on another he was bending down to pick something up from the ground, when a shell dropped at his feet but, fortunately for him, it did not explode. 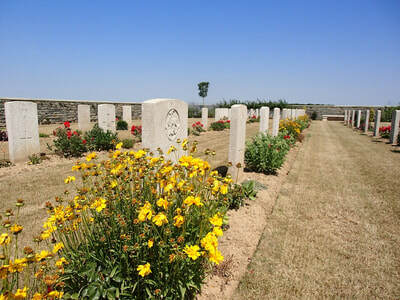 Sydney's luck ran out on the 12th April 1917, his grave was destroyed by shellfire and he is commemorated on a Special Memorial within this cemetery.